We believe in teaching our girls accountability through open and honest communication with coaches and parents. 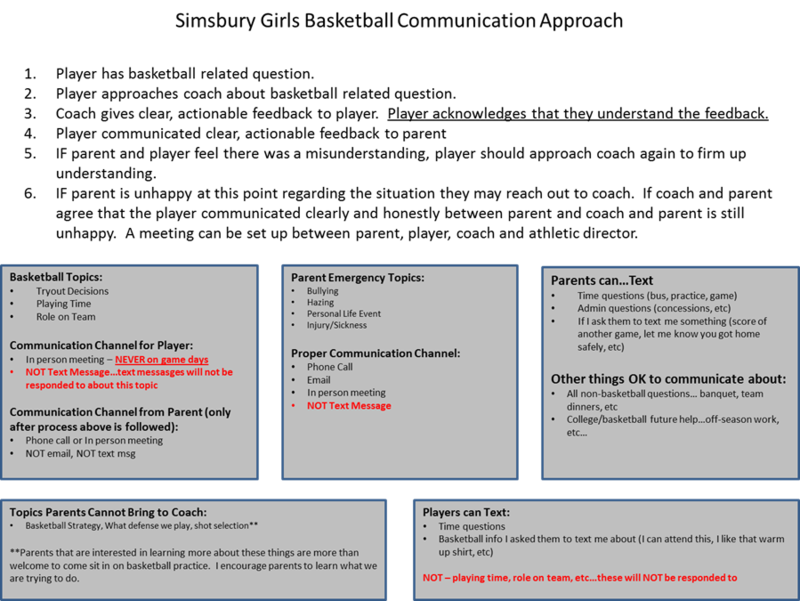 We follow the communication approach below to put accountability on our girls to directly ask questions to coaches and get direct feedback. We believe this is something that every high school student should learn in order to set them up for the next phase of life. The coach staff takes this responsibility very seriously and will push back if the process below is not followed.